With just over a week until the start of his Bike ride, Gavin Scott, Environment Manager reflects on this last six months of training and cake eating and the challenge ahead…………..
Back in January of this year in a moment of utter madness I entered an endurance race from London to Istanbul on a push bike , back then August 9th seemed a long way off. The Transcontinetal race is quite unique in that it is a one-stage race with no support or back-up ( i have to carry all i need) , no specified route although there are three mandatory checkpoints riders I have to pass through. My original thought was that I’d be cycling about 1,900 miles over 15 days cycling the flattest route I could select. 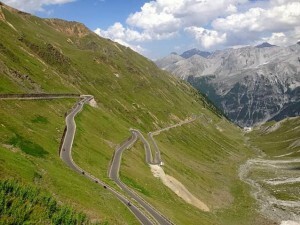 But then I found out where the mandatory checkpoints are in France, Italy and Montenegro and this route involves negotiating the Stelvio Pass which is 2,757m high with 48 hairpin turns and Mount Lovcen which is 1,749m and has 29 hairpins. So now I’m looking at a journey of 2,300 miles plus with over 149,000 feet of climbing – which with my math is the equivalent of climbing Everest 5 times. My training has taken me all over the country and i have ridden with some inspiring people , including members of this years Lifecycle team , and some real characters. I have found myself spending the night in a cemetery on the Yorkshire moors, accidentally cycling into a mass naked cycle ride whilst riding to London (I decided against joining them and pedaled on) and eating a tremendous amount of cake. A lot of people have asked why am i doing and my immediate response is why not? We all need something to challenge us and take us out of our comfort zone and for me this is it, some may say its a midlife crisis! There is something very special about travelling by bike, whether that be the smug feeling you get when cycling past a traffic Jam, the fresh air or the way that you get a whole new perspective on the Journey. I am riding to raise funds for The Children’s Brain Tumour Research Centre here at the University. In the UK, brain tumours are the largest cause of children’s cancer deaths, yet only 2% of cancer research funding has been focused on this area. The Children’s Brain Tumour Research Centre brings together a team of leading professionals and researchers – all experts in their fields, and all committed to improving our understanding, diagnosis and treatment of childhood brain tumours. Sign up for the University of Nottingham Community Life Cycle ride on 31st August and encourage your friends and families to do the same.